Douglas P. Mahoney has served as the President of the Connecticut Trial Lawyers Association and as the President of the Greater Bridgeport Bar Association. He has been listed as one of the top 50 attorneys in Connecticut and top 100 in New England by the publication, Super Lawyers®. He has been recognized as one of the top personal injury attorneys in the country by Best Lawyers®. He is board certified as a civil trial specialist. Mr. Mahoney has tried many jury cases to verdict and the type of cases he has tried spans the spectrum of personal injury law. However, two multimillion dollar verdicts in particular are most important to him. The jury in the Estate of Blackwell v. Town of Seymour, et al held the defendant town responsible for the failure of its off-duty police officer to stop a drunk driver, resulting in the death of Mr. Mahoney’s client. In the case of Tim Doe v. St. Francis Hospital, the jury held the defendant hospital responsible for the sexual abuse of Mr. Mahoney’s client by one of its doctors some 40 years earlier. That verdict was affirmed by the Connecticut Supreme Court. Mr. Mahoney is a member of the American Board of Trial Advocates. He is AV rated by Martindale-Hubbell, the highest rating a lawyer can receive by that group. He sits as a member of the Standing Committee on Recommendations to the Bar in Fairfield County. He has argued cases before the Supreme Court of the State of Connecticut as well as its Appellate Court. He was appointed by the Chief Justice of the Connecticut Supreme Court to serve as a member of the Civil Commission as well as a member of the Task Force to Study Minimum Continuing Legal Education. 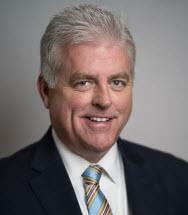 Mr. Mahoney has always been active in the Connecticut Trial Lawyers Association and is a member of its Board of Governors and its Executive Committee. He has chaired its Membership Committee and its People’s Law School. He has lectured at many seminars for the organization. He received his J.D. with Honors from the University of Connecticut School of Law and his A.B from the College of the Holy Cross. "We will try the case before a jury of citizens and that jury will hold the defendant fully accountable for the wrongs committed which have harmed our client."